"Even the most farsighted politician couldn't then have foreseen what happened, in terms of history, in an instant: in East Europe, communist regimes collapsed one after the other, the Soviet Union collapsed, and the Warsaw Pact ceased to exist. There was a vacuum in the system of international security. In this situation, for the young Eastern European democracies, NATO was a more natural and attractive partner that their old ally in Moscow. ... 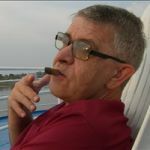 If the Russian politicians accusing the West of deception have any kind of documentary evidence of promises not to expand NATO to the east, now would be a good time to show it." Former West German Foreign Minister Hans-Dietrich Genscher: what, if anything, did he promise the Russians about NATO expansion? Limited assurances but not promises, the record shows. Russian officials, politicians, and television propagandists often make accusations against the West: promises were made not to expand NATO to the east, but they turned out to be liars, as NATO planes and tanks are now firmly established on the boarders of Russia. In response, Western politicians only shrug their shoulders - no one was promised any such thing. So were such promises made or not? German newspaper Frankfurter Allgemeine Zeitung recently tried to answer the question. In 1990, a major international problem was the reunification of Germany. West German politicians faced a daunting task: to find arguments for the victorious powers, and above all, the Soviet Union, that would convince them that the German nation had the right to choose its own destiny. 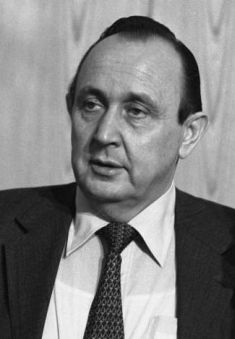 Responsibility for developing the relevant arguments belonged to then-West German Foreign Minister Hans-Dietrich Genscher. Given the active discussions within German and international political circles and fears that the Soviet Union would be unlikely to approve NATO membership for a united Germany, FAZ writes that Genscher decided to get a sense of the public's position about entering NATO. Without coordinating his comments with Chancellor Helmut Kohl and his advisers, at the Evangelical Academy in the village of Tutzing on January 31, 1990, Genscher made a speech in which he clearly stated that “the expansion of NATO into territories to the east, up to the borders of the Soviet Union, which is the fear behind the formation of the Warsaw Pact, will never happen.” He added that certain security guarantees should be implemented that take into account the interests of the Soviet Union, and that the territory of the German Democratic Republic [East Germany] would be a demilitarized zone. These proposals formed the basis of the so called, “Tutzing formula,” which in February 1990 was used by U.S. State Secretary James Baker and then-Chancellor Helmut Kohl in preliminary talks with the Soviet leadership about German unification. Later, neither Baker nor Genscher interpreted anything said during these negotiations as a promise to the Kremlin not to expand NATO to the east. During an interview with Der Spiegel in 2009, the former German foreign minister noted that then he was only testing the ground in anticipation of actual negotiations. In addition he said that the formula they invented had a rather short lifespan. On Feb. 10, 1990, between 4 and 6:30 p.m., Genscher spoke with Soviet Foreign Minister Eduard Shevardnadze. According to the German record of the conversation, which was only recently declassified, Genscher said: "We are aware that NATO membership for a unified Germany raises complicated questions. For us, however, one thing is certain: NATO will not expand to the east." And because the conversion revolved mainly around East Germany, Genscher added explicitly: "As far as the non-expansion of NATO is concerned, this also applies in general." At a meeting at Camp David in late February 1990, U.S. President George H.W. Bush convinced Chancellor Kohl that the demilitarization of the eastern part of a united Germany would be contrary to the obligations of NATO to protect the country. As a possible concession to Moscow, the two leaders agreed on the designation “special military status,” for the former East Germany, which didn't exclude its inclusion in the jurisdiction of the Alliance, and to offer to discuss this status in the course of talks among the 4+2 (the Soviet Union, United States, United Kingdom, France plus West Germany and East Germany). 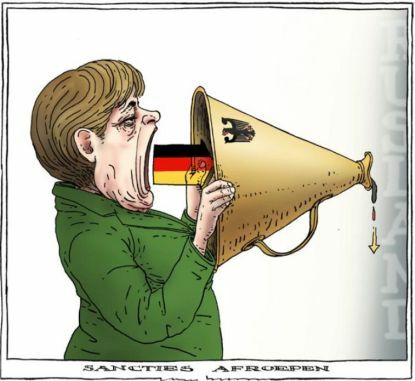 And not a word of any promises not to expand NATO eastwards, says FAZ, not verbally much less in writing. Even the most farsighted politician couldn't then have foreseen what happened, in terms of history, in an instant: in East Europe, communist regimes collapsed one after the other, the Soviet Union collapsed, and the Warsaw Pact ceased to exist. There was a vacuum in the system of international security. In this situation, for the young Eastern European democracies, NATO was a more natural and attractive partner that their old ally in Moscow. If the Russian politicians accusing the West of deception have any kind of documentary evidence of promises not to expand NATO to the east, now would be a good time to show it. [Editor's Note: Former Soviet President Mikhail Gorbachev owns 24.5 percent of Novaya Gazeta].